Incumbent Telecom and IT operators foresee the need of implementing High Availability SMSC platform for their important business applications and continues to monitor operational status with the use of TMN systems. Netfors SS7 SMS Center is a highly flexible and scalable carrier grade SMSC platform for Operators and Service providers. It allows for them to select the solution that supports their needs for High Availability, SMSC applications and business control. 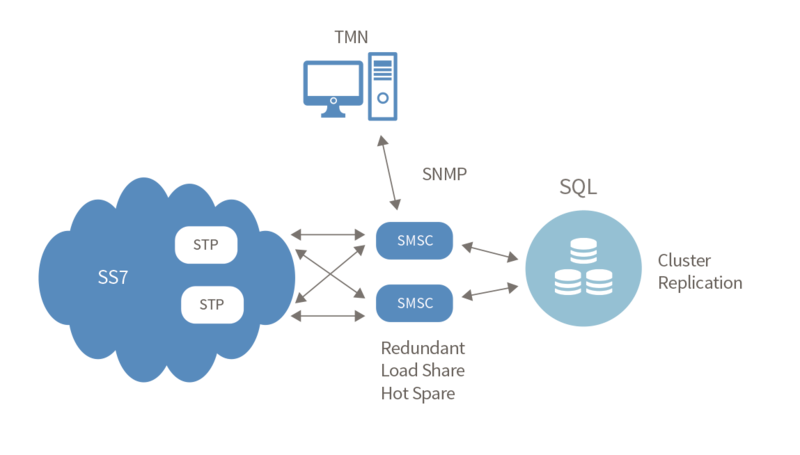 The Netfors High Availability SMSC platform solution provides redundant configurations with both Hot Spare and Load Share SS7 connectivity. Data can be secured using Replication and Clustering methodologies. Operational staff is additional to SMSC platform administrators Web GUI provided supervision from TMN systems over SNMP interface.